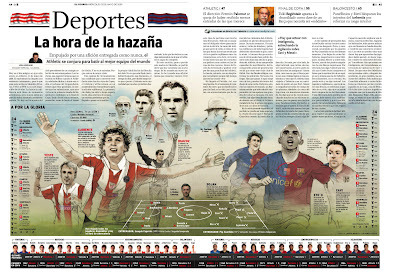 Not any infographics department could stand on its feet after losing two stars as Baptista and Zarracina. Many could think that Josemi Benitez (now head of infographics) would have to make big changes. But the readers of El Correo should be glad. I would, you just have to take a glance to the graphics they make for the last big sport event of the city uploaded by La Buena Prensa. 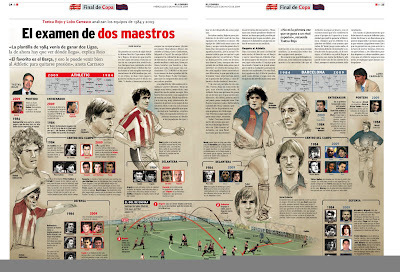 They keep the illustrated style that placed El Correo among the best newspapers of the world (if we talk about infographics). I think that the style of the graphics of a newspaper should be defined by the newspaper style. So my appaluse to Josemi Benítez and his team! Hallo! I have some problems on finding any Josemi Benitez`s contacs. Can you hepl me with it, please? Do you know e-mail or something? I will be so much appreciated!